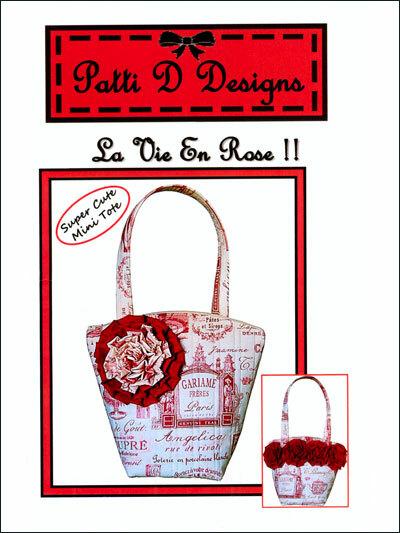 Create your very own super cute "La Vie En Rose" mini tote! The finished bag measures 10" wide by 11" tall by 5" deep. Pattern contains complete instructions, yardage, and supply list.